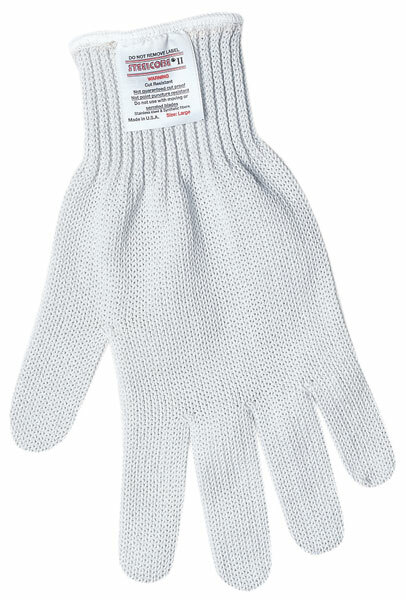 Steelcore® II gloves provide ultimate protection from cuts. Strands of stainless steel wrapped with polyester fiber add strength and comfort to this cut resistant offering. The 9350 is made with FDA accepted material for use in food processing applications and can be laundered without shrinkage. Glove are individually packaged and have a color coded hem to identify sizes.